Home Entertainment Let’s Check Out Sulli’s Instagram Feeds! Let’s Check Out Sulli’s Instagram Feeds! Choi Jinri, best known by the stage name Sulli, is a South Korean singer, model, and actress. She is a former member of the Korean girl group f(x). She officially withdrew from the group to pursue her acting career under SM Entertainment. Recently, she also started being a model and a brand ambassador for some brands. Let’s take a peek at some of Sulli’s activities! A bare-faced Sulli still looks good with her glasses on. She looks good even with no makeup. Isn’t her natural look beautiful? Here’s Sulli doing choreography to Marian Hill’s “One Time” song. She looks great in the dance cover. She also posted her birthday ad provided by her Chinese fans on a subway station. She gratefully said, “Happy Birthday. Thank you.” in the caption. Looks like Sulli went on purpose to see her birthday ad. After leaving f(x), Sulli decided to renew her contract with her agency SM Entertainment. According to Naver, Sulli, who has been with SM since she was a child, is already in discussions for future projects now that she’s renewed. 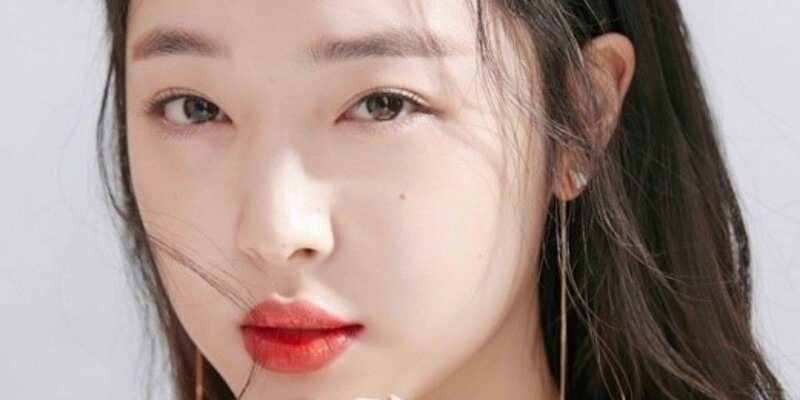 SM Entertainment confirmed that Sulli will be appearing in a reality show. The program is a lifestyle reality show that will follow Sulli’s life as she works on opening a pop-up store. It looks like her post is about her upcoming project. Sulli did a photo shoot for W Korea. Here is a vintage photo shoot for Vogue Korea. In this photo shoot, Sulli collaborated with the cosmetic brand Estee Lauder. Sulli launched a solo photobook called “Love Myself.” The photobook contains photos taken from when she went to Berlin and shows her natural and carefree image. The photobook has 160 pages. Sulli has become one of the most controversial Korean celebrities when it comes to what she does and what she says to and in front of others. Netizens are concerned about her mental health after the recent images she uploaded on Instagram. Sulli also uploaded several more photos of herself gazing into the camera with a mischievous look while only dressed in a one-piece slip. This is when netizens started becoming more concerned and angry. Netizens commented with, “Does she have mental issues? Why does she keep doing this…,” “Are you on drugs?,” “She’s so weird TT,” “Do people not take care of her? Instead of going around places to eat, she should be taken to a hospital… It looks severe…,” and many more. The posts have already been removed from her Instagram.